Patriots: Are They Re-Gearing For Another Run At The SuperBowl? The Super Bowl was winnable for the Patriots, but they let it get away from them. Malcolm Butler should’ve been able to play because I guarantee whatever he did was not worth losing the Super Bowl and ultimately their best cornerback. This last season has seen many cracks in the Patriots dynasty, and this offseason was vital for them so that they can seal those cracks. In all honesty, this Patriots team barely snuck into the Super Bowl after lucking out (by not facing the Chiefs or Steelers first off) and some calls that went their way against a good Jacksonville team. This offseason was key to them retooling, and possibly silencing the doubters once more. In free agency, they lost a lot of significant members of their offense like Nate Solder, Danny Amendola, Martellus Bennett, Dion Lewis, and Cameron Fleming. They lucked out by being deep at their skill positions but faced a challenge in replacing both their starting offensive tackles. New England didn’t really address their tackle situation in free agency, but they definitely added players more than suitable to replace their lost skill players. They added Cordarrelle Patterson and Jordan Matthews who I believe are both upgrades over Danny Amendola. It’ll be very interesting to see how they use Patterson and his speed especially. New England would add Jeremy Hill as well, who I think is an upgrade for sure over Dion Lewis. In a couple months, I’m sure the media will talk about how great the Patriots are for picking up “nobodies” and making them great. Except for these players they picked up are actually talented, and had good production on the teams they were on before at some point. Those three players are dangerous, especially in the hands of Bill Belichick. On defense, the Patriots would also trade for Danny Shelton who was one of the better defensive tackles in the league last year. Which is another upgrade to add to the list. In the draft, they had a lot of picks and drafted unusually well. New England has struggled in past years to draft well, but this is a draft class they should be more than happy with. 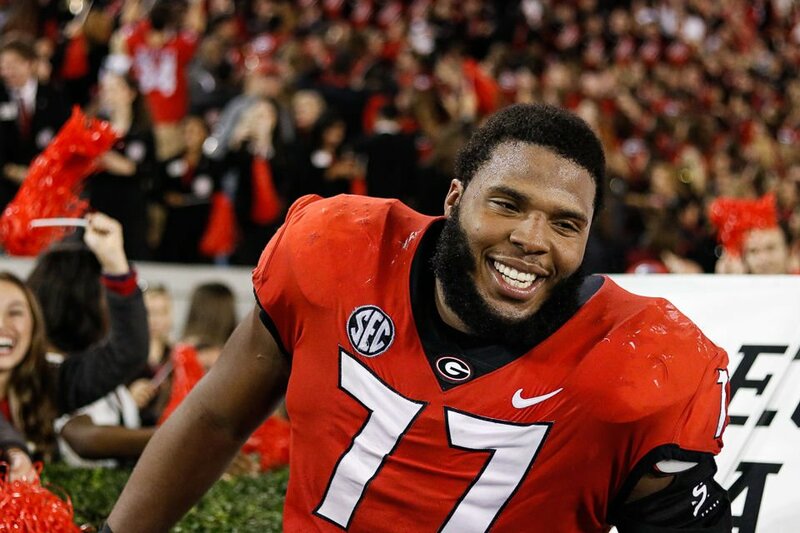 First off they actually address their offensive tackle position by taking Isaiah Wynn. He was a big reason why Georgia had so much success on offense the past couple seasons, so he’s definitely a day one starter. While the Patriots were at it they also drafted another big reason why Georgia was successful, specifically this last season. They would add running back Sony Michel in the first round, who will be a great weapon for the Patriots. He not only adds more depth to that running back group, but he may be the running back of the future for them. After that, they would take the cornerback Duke Dawson out of Florida, who will probably be Malcolm Butler’s replacement. I believe the only reason he was drafted in the third round, was because of the depth at cornerback in this previous draft class. Dawson should be a sufficient replacement. The last prospect I want to talk about is the quarterback they selected out of LSU in the 7th round, Danny Etling. Tom Brady forced the Patriots to trade Jimmy Garoppolo because he thinks he can play forever. That put the Patriots in a tricky situation because that meant if Brady went down then they would have Brian Hoyer. Hoyer won’t be able to beat teams like the Steelers, Jaguars, or even the Chiefs if Brady was to get knocked out of the game. The possibility of Brady getting hurt grows every year, despite his great play. 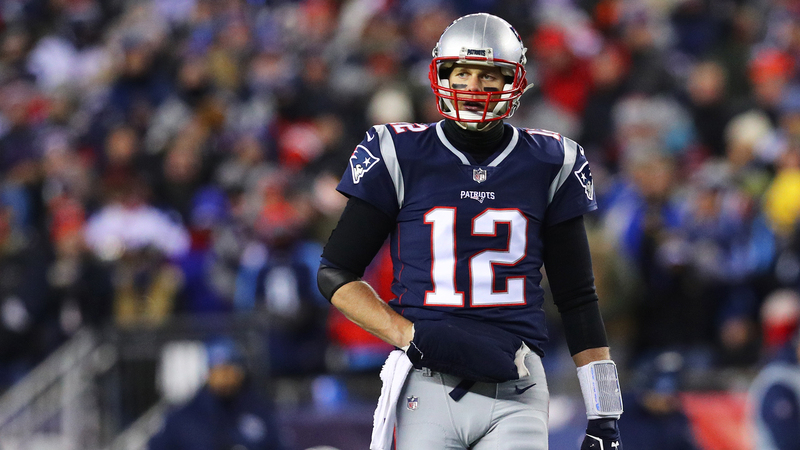 Just because Brady thinks he can play for a decade more, doesn’t mean he will. I give him 3 good years at most left. Danny Etling is a project player, that will be perfect for the Patriots’ current situation. He has shown flashes of greatness in college, but I think a coaching staff led by Bill Belichick should be able to harness that potential. Etling will be better than Brian Hoyer soon, and I expect him to eventually take the backup job. It was a good offseason for the Patriots despite losing so many key players. This offseason should serve as an example to all teams, on how to retool after losing key players. This ability to consistently improve after every offseason is why the Patriots have a dynasty, to begin with. Previous article Tats and Looks! She’s Super Good Looking! Next article This American YouTuber Is Gorgeous! Tats and Looks! She’s Super Good Looking! This American YouTuber Is Gorgeous!